Apple has released two new hardware updates to the iPad lineup; a new iPad Air 10.5″ model, and an updated iPad mini 7.9″ model. 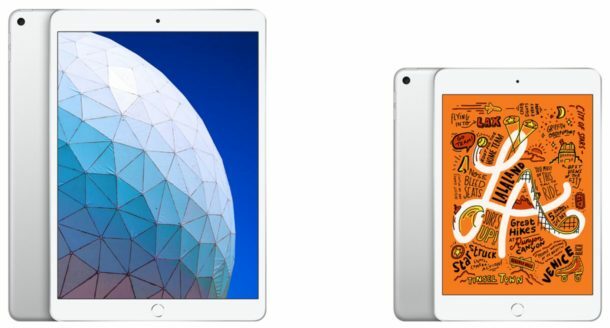 The new iPad models will be appealing to many users for differing reasons, as the iPad Air 10.5″ is a step closer to an iPad Pro in many ways, while the iPad mini 7.9″ is the smallest and most portable iPad. 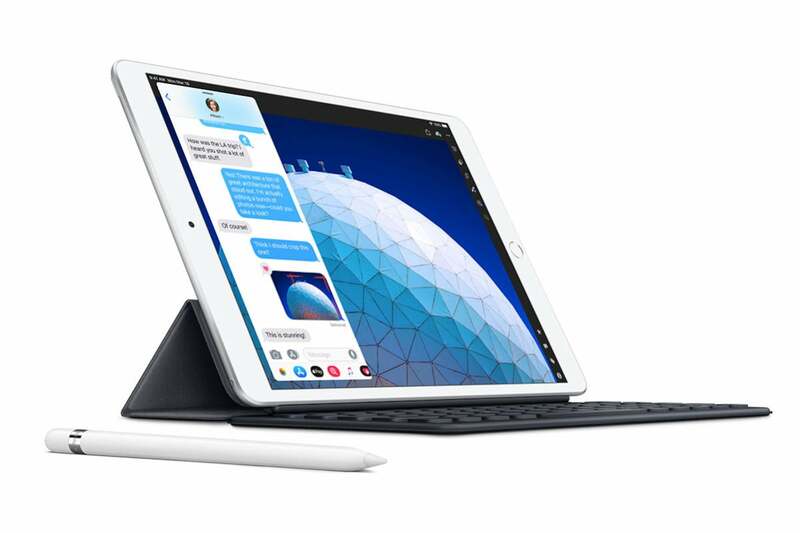 Both the new iPad Air 10.5″ and iPad mini 7.9″ feature an A12 CPU, Touch ID, support for the 1st generation Apple Pencil (but not the new 2nd generation Apple Pencil), a laminated display, and start at 64GB storage capacities with a maximum of 256GB storage available for each. Each model can also be purchased with optional LTE cellular connectivity for an added cost. 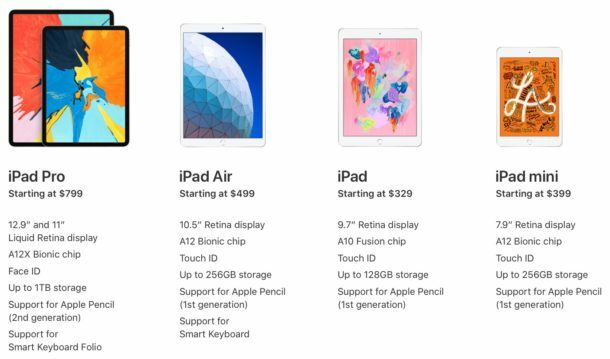 The new iPad Air 10.5″ starts at $499, while the iPad mini 7.9″ starts at $399. Both models are available for order now on Apple.com and now on Amazon.com and will ship towards the end of the month. With the addition of the new iPad Air (3rd generation) and iPad mini (5th generation), this means that Apple is now selling five different screen size iPads, including the iPad Pro 12.9″ model, iPad Pro 11″ model, the iPad Air 10.5″ model, the iPad 9.7″ model, and the iPad mini 7.9″ model, with each iPad size also coming in three different color options, possible LTE cellular connectivity, multiple storage capacity configurations, and at different price points. For consumers looking to differentiate one model from another, the official iPad comparison tool on apple.com can help. Regardless of what iPad you go for, if you want an Apple Pencil to go along with it then be sure you get the proper Apple Pencil for the specific iPad model. This is important, because the older 1st generation Apple Pencil works with the new iPad Air, iPad mini, iPad, and older iPad Pro, but does not work on the new iPad Pro (2018), whereas the new 2nd generation Apple Pencil does not work on the new iPad Air, iPad, iPad mini, or older iPad Pro models, while it does work on the new iPad Pro (2018). Basically you want the older Apple Pencil for the new iPad models unless the iPad is a new iPad Pro, in which case you want the new Apple Pencil for the new iPad Pro only. Let’s kick off with what’s new with the iPad Air, which we thought was effectively replaced with the 10.5-inch iPad Pro in 2017. In essence, this is the iPad Air 3, but much as with the iPad mini, Apple’s dropping the numerals. It’s now just the iPad Air. The price sees a welcome change, as Apple now sells it for a starting price of $499 instead of the $649 we saw with the iPad Air 2. There’s also a change in storage options, as Apple only sells the new iPad Air in 64GB and 256GB configurations. Before, you could buy the iPad Air 2 with 16, 32, 64, and 128GB options. It’s a smart move for a more data-hungry age. The tablet is also bigger—insomuch it has the same 9.8 by 6.8-inch frame as the 2017 10.5-inch iPad Pro. For comparison, the iPad Air 2 measured 9.4 by 6.67 inches. 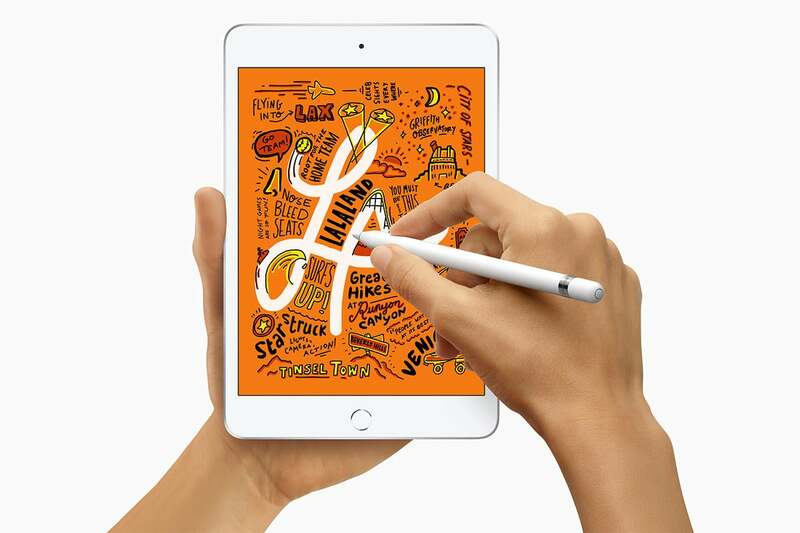 And much like the old iPad Pro, the new iPad Air supports the first-generation Apple Pencil. That could be a big deal if you don’t want to pay iPad Pro prices but don’t like the smaller screen of the 9.7-inch iPad—or the new 7.9-inch iPad mini. The iPad Air essentially looks like an older iPad Pro now. I especially like that the new iPad Air sports the A12 Bionic processor found in the iPhone XS and XR, which marks a massive jump from the A8X chip in the iPad Air 2. Keep in mind, though, that it’s not quite as fast as the A12X chips that we find in the 2018 iPad Pros. The display has changed, too, as the resolution is now 2224 by 1668, up from 2048 by 1536. It’s also packed with Apple’s TrueTone technology that adapts to ambient light in order to deliver a more natural viewing experience. That display is also laminated, which effectively means the glass sits on top of the display. When you use an Apple Pencil, it makes for an experience that feels slightly more like writing on paper than what you’ll get with an unlaminated display. Unfortunately, the iPad Air didn’t inherit the iPad Pro’s ProMotion 120Hz refresh rate, which makes everything from Apple Pencil strokes to scrolling through webpages a bit smoother. The iPad Air is also brighter, as it delivers 500 nits of brightness versus the 415 in the older model. That’s great if you often have to use your iPad in the sunlight. And last but certainly not least, the front-facing FaceTime camera got a big boost from 1MP to 7MP. That’s a lot of good stuff, especially when you compare it to the iPad Air 2. When you compare to the 10.5-inch iPad Pro, though, the truth is that we’re basically looking at an iPad Pro from 2017 with a better chip. In other words, if you got a 10.5-inch iPad Pro two years ago, you may not need to upgrade. 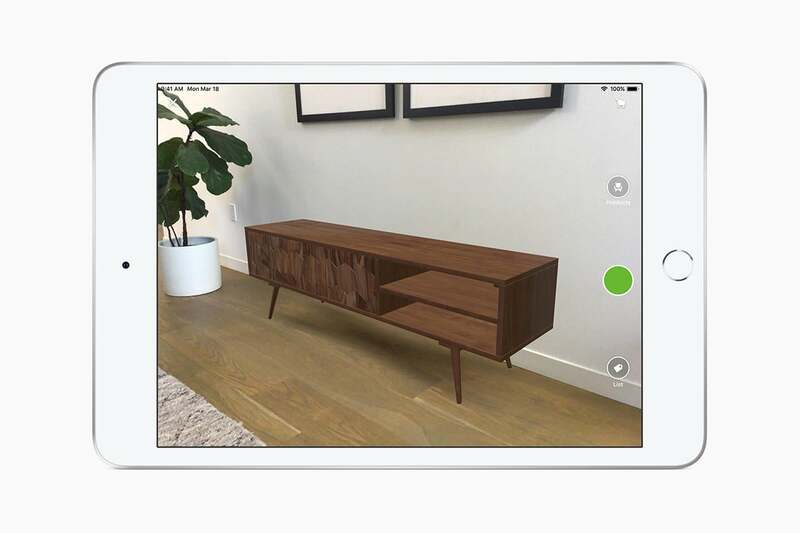 The A12 Bionic chips allow the new iPads to take better advantage of augmented reality apps. The new model still has a home button with Touch ID, and I think that’s a bit of a bummer as the latest iPad Pros have taught me that Face ID is even better suited for iPads than iPhones. It’s still LED backlit, so don’t expect the super cool OLED displays you find in the new iPhones. Even the new iPad Pro doesn’t have that. While the FaceTime camera got a boost, the rear camera hasn’t changed much, as it still has an 8MP rear camera like the iPad Air 2. It’s still got a 3.5mm headphone jack, it’s still available in space gray, silver, and gold, and it still gives you a battery life of around 10 hours. And it still supports Lightning cables instead of USB-C.
Let’s move on to the new iPad mini. A lot of you have been waiting for this one for a long time, and as you might expect after a four-year wait, it’s a massive improvement over the iPad mini 4. What’s new? First off, much as with the iPad Air, this is now simply called iPad mini—even though it’s essentially the iPad mini 5. It also sports the A12 Bionic processor, and that’s enough of an upgrade from the A8 chip to give you around three times the graphics processing power of the iPad mini 4. It’s also got a laminated display and first-generation Apple Pencil support like the iPad Air, along with support for Apple’s TrueTone technology. It even has a wider P3 color gamut, and Apple says its pixel density of 3 million is the highest of any iPad. The display itself is 25 percent brighter at 500 nits, up from the 450 in the iPad mini 4. At this point, you’re almost using a digital Moleskine notebook. The camera remains at 8MP, but the newer model reportedly offers better low-light performance and HD video recording. And here again we see the boost to 7MP from 1MP in the front-facing camera. The iPad mini 4 only sold in a 128GB configuration, but the new iPad mini comes with both 64GB and 256GB storage options. For that matter, it now supports the same Wi-Fi and gigabit-class LTE speeds you’ll find in new iPads. What hasn’t changed? For one, there’s the starting price, which remains the same as the iPad mini 4 at $399. I’d be annoyed with that considering that the 9.7-inch iPad supports the Apple Pencil and gives you more screen space for $329. Nonetheless, this delivers a lot of upgrades for people who want a smaller iPad. As for the display, it may have that TrueTone tech and the wider P3 color gamut, but the 7.9-inch display itself still has a resolution of 2046 by 1536. Like the iPad Air, it also doesn’t support ProMotion. In fact, I’ll probably have a hard time telling the iPad mini 4 apart from the NEW iPad mini when we get ours. It still has the same 8 by 5.3-inch frame, a home button that supports Touch ID, and support for Lightning cables instead of USB-C. And yes, it still comes in space gray, silver, and gold, and it still delivers around 10 hours of battery life.